Los Angeles Mayor Eric Garcetti has appointed Uduak-Joe Ntuk as the city’s first-ever oil administrator to regulate the safety of oil operations in the city. 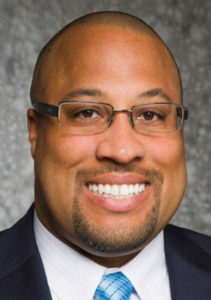 He will begin serving in the $133,500-per-year post in October, heading a new Office of Petroleum and Natural Gas Administration and Safety within the City’s Board of Public Works. Ntuk, 37, is a petroleum engineering official for the city of Long Beach, and formerly was an engineer with Chevron Corp. 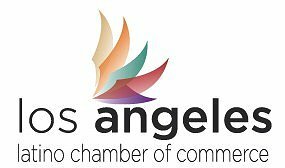 The Los Angeles City Council earlier this year called for the hiring of a full-time petroleum administrator after residents complained about odors linked to drilling operations in South Los Angeles, Baldwin Hills and other neighborhoods, and in the wake of prolong natural gas leaks from the Aliso Canyon underground storage facility. Ntuk will lead a new office of Petroleum and Natural Gas Administration and Safety. The office will track and report on oil and gas extraction in the city and oversee the safety of those operations. It will also negotiate and monitor city drilling agreements, and respond to complaints by residents. Ntuk “has the skills and background to work with our residents, industry and regulators — to help manage oil and gas activities in our neighborhoods, and play a role in steering L.A. toward a cleaner, more sustainable future,” Garcetti said. “I will focus on doing everything we can to protect the health and safety of L.A.’s communities, while taking a measured approach to the many complex issues raised by fossil fuel extraction in a large city,” Ntuk said. Ntuk has been employed by the city of Long Beach as a petroleum engineering associate, helping to oversee an oil field operated by the city. He worked previously for the petroleum giant Chevron in the San Joaquin Valley. He has been active in Democratic politics, serving as president of the Long Beach Democratic Club and running unsuccessfully for the Long Beach Unified school board two years ago.